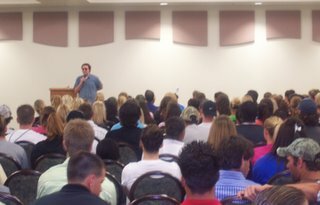 Thanks to FGCU for having me in to speak for your alcohol awareness week. You guys were one of the most interactive and fun audiences I’ve had… ever! Did we really go 15 minutes over schedule without anyone wanting to leave? Y’all rock! Special thanks to Dr. Judi Gibbons for being such a great client, for taking me out to pizza with some wonderful folks from the counseling office. 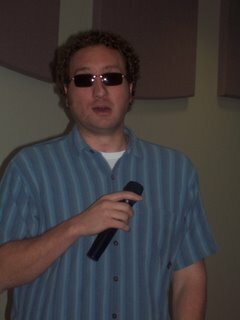 This program was compliments of CAMPUSPEAK and specifically by CAMPUSPEAK’s agent, Ray Lutzky. Thanks to all who made my first Fort Myers experience so great!